Aegis - A London based, privately owned, British security and risk management company with overseas offices in Afghanistan, Bahrain, Iraq, Kenya, Nepal and the USA. Aegis specialises in the identification, analysis and mitigation of risk, providing a commercially focused approach to security and risk management through three divisions: Research and Intelligence, Security Operations and Technical Services. Anti-Shipping Activity Messages (ASAM) - Includes the locations and descriptive accounts of specific hostile acts against ships and mariners. Broadcast Warnings - Broadcast Warnings are promulgated by the Worldwide Navigational Warnings Service (WWNWS) to provide rapid dissemination of information critical to navigation and the safety of life at sea. Navigational Warnings are issued regularly and contain information about persons in distress, or objects and events that pose an immediate hazard to navigation. The four types of Navigational Warnings - NAVAREA IV, HYDROLANT, NAVAREA XII, and HYDROPAC - are categorized by their location. Global Maritime Distress & Safety System (GMDSS) - Consists of several systems, some of which are new, but many of which have been in operation for many years. 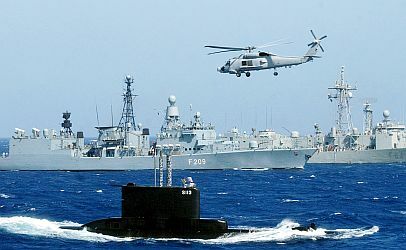 The system will be able to reliably perform the following functions: alerting (including position determination of the unit in distress), search and rescue coordination, locating (homing), maritime safety information broadcasts, general communications, and bridge-to-bridge communications. Specific radio carriage requirements depend upon the ship's area of operation, rather than its tonnage. The system also provides redundant means of distress alerting, and emergency sources of power. HudsonAnalytix - Maritime security management. International Maritime Security Network, LLC - Maritime security training, offering classroom and distance learning courses. Live Piracy Report - The main aim of the Piracy Reporting Centre is to raise awareness within the shipping industry, which includes the shipmaster, ship-owner, insurance companies, traders, etc, of the areas of high risk associated with piratical attacks or specific ports and anchorages associated with armed robberies on board ships. MarineTraffic.com - Vessel positions tracking based on AIS data. Real-time ship locations and port arrivals departures. Maritime Safety Information - The mission of the Maritime Division, National Geospacial-Intelligence Agency is to provide global maritime geospatial intelligence in support of national security objectives including safety of navigation, international obligations, intelligence activities and joint military operations. Maritime Security and Piracy - Circulars, alerts, guidelines from UK P&I Club. Maritime Security Centre - Provides a service to mariners in the Gulf of Aden, the Somali Basin and off the Horn of Africa. It is a Coordination Centre dedicated to safeguarding legitimate freedom of navigation in the light of increasing risks of pirate attack against merchant shipping in the region, in support of the UN Security Council's Resolutions (UNSCR) 1814, 1816 and 1838. Maritime Security Council (MSC) - A non-profit, member-driven organization representing ocean carriers, cruise lines, importers/exporters, logistics providers, port and terminal operators, and related maritime industries throughout the world. MSC is active in government and regulatory affairs. It represented the shipping industry in the development of the Carrier Initiative Program, Super Carrier Initiative Agreement, and C-TPAT Version 1 and 2 for Sea Carriers. Maritime Security Review - Maritime security information along with a 24/7 data stream of the latest predictive intelligence, attack data and analysis. Mobile Offshore Drilling Units (MODU) - MODU are facilities designed or modified to engage in drilling and exploration activities. The term MODU includes drilling vessels, semisubmersibles, submersibles, jack-ups, and similar facilities that can be moved without substantial effort. These facilities may or may not have self-propulsion equipment on board and may require dynamic positioning equipment or mooring systems to maintain their position. Maritime Security International - Provides coverage of all the main security issues that affect ports, offshore and shipping, from new technologies to specialist security organisations. It also looks at the legal and practical implications of security issues for owners, insurers and flag states. Maritime Security Outlook - Blogging by maritime security professionals, stakeholders in the maritime community, including ports, all levels of law enforcement and private product and solution providers. Neptune Maritime Security - Security specialists in maritime counter-terrorism. Oceans Beyond Piracy (OBP) - Through meetings and workshops, research and analysis, and the development of new cross-sector partnerships, OBP supports the international community in its efforts to bring an end to contemporary maritime piracy. Security Association for the Maritime Industry (SAMI) - An international non -governmental organisation (NGO), which exists to facilitate clear dialogue and a common standards framework in the delivery of maritime security products to the shipping community. Its international membership encompasses maritime security providers, consultants, trainers, individual operatives and the maritime security equipment, technology and hardware manufacturers to provide direct links to the commercial shipping industry, offshore oil & gas industry and ports too. Self-Propelled Semi-Submersible (SPSS) Watercraft - Most drugs departing Colombia go by sea -- either "go-fast" boats, fishing vessels, commercial shipping, or the relatively new method of Self-Propelled Semi-Submersible watercraft (SPSS). Typically, in the eastern Pacific, fishing vessels carrying multi-ton loads of cocaine depart Colombian and Ecuadorian Pacific coast ports for delivery points along the Central American or Mexican coast. In the Caribbean, high-speed "go-fast" vessels, hauling as much as two metric tons of cocaine at a time, leave Colombia 's north coast for delivery points in the eastern Caribbean, or hug the Central American coastline in their track north to points along the Central American and Mexican coastlines. A fishing vessel operation can last up to six weeks, while go-fast operations run normally one or two days. The number of go-fast boats involved in smuggling has increased substantially in the past few years. Such craft are small, very fast, nearly invisible to radar, and difficult to see in daylight. To counter the go-fast threat, the Coast Guard has acquired new equipment and developed capabilities to use armed helicopters, over-the-horizon cutter boats, and non-lethal vessel-stopping technologies. The seizure in 2000 of a partially constructed, 100-foot submarine outside the city of Bogota reflected the versatility and financial resources of Colombian drug traffickers. Had it been completed, this submarine would have been capable of transporting up to ten metric tons of cocaine to the United States, about five percent of annual US demand, while remaining at snorkel depth the entire trip. Also see USCG's "A Look Inside a Self-Propelled Semi-Submersible Vessel - Video". Transportation Worker Identification Credential (TWIC) - TWIC is a biometric credential that ensures only vetted workers are eligible to enter a secure area of a Maritime Transportation Security Act-regulated port or vessel unescorted. The enrollment process consists of the following components: optional pre-enrollment, in-person enrollment, security threat assessment and notification of the results, and issuance of the TWIC to the applicant. Applicants may pre-enroll online to enter all of the biographic information required for the threat assessment and make an appointment at the enrollment center to complete the process (although appointments are not required). Then applicants must visit the enrollment center where they will pay the enrollment fee, complete a TWIC Application Disclosure Form, provide biographic information and a complete set of fingerprints, and sit for a digital photograph. The applicant must bring identity verification documents to enrollment and in the case of aliens, immigration documents that verify their immigration status, so that the documents can be scanned into the electronic enrollment record. U.S. Council on Foreign Relations - Terrorism coverage. U.S. Notice to Mariners - Provides timely marine safety information for the correction of all U.S. Government navigation charts and publications from a wide variety of sources both foreign and domestic. To ensure the safety of life at sea, the information published in the Notice to Mariners is designed to provide for the correction of unclassified nautical charts, the Unclassified NGA/DLIS Catalog of Hydrographic Products, United States Coast Pilots, NGA List of Lights, USCG Light Lists, and other related nautical publications produced by NGA, NOS and the USCG.